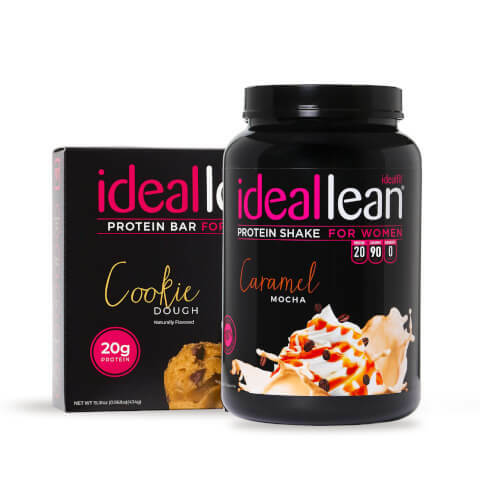 Get the best value on IdealLean Protein Bars when you bundle with IdealLean Protein! With this stack, you get 1 box of delicious protein bars and 1 tub of high-quality whey protein isolate. Support your nutrition with this power-packed protein combination! Please check the stock availability notice on your item when placing your order. This item is: Stock will be shipped to you as soon as we receive it from our supplier. Get the best value on IdealLean Protein Bars when you bundle with IdealLean Protein! *The % Daily Value (DV) tells you how much nutrient in a serving of food contributes to a daily diet. 2,000 calories a day is used for general nutrition advice. *Percent Daily Value are based on a 2,000 calorie diet. Your daily values may be higher or lower depending on your calorie needs.